Sleeves as housings, e.g. for solenoid valves or electric motors, spacer sleeves and stiffening tubes, or spring sleeves (clamping sleeves). We can also offer sleeves with undercut lock (omega closure) and (laser-)welding, if required. 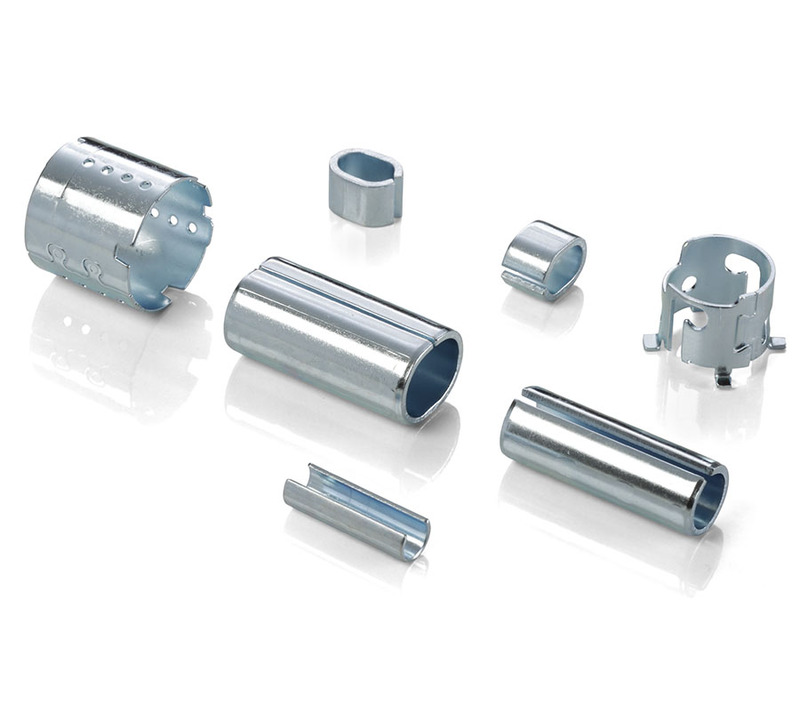 Basic tools are available for a great range of sizes of spacer sleeves and stiffening tubes.